Hebrew Wizards intertwingles the excitement and "Ruach" of summer camp with the concrete learning of Hebrew school in this creative and innovative Hebrew program. Children will learn everything they need to know about being Jewish. Hebrew Wizards empowers Teens by creating an opportunity for them to teach other kids and be empowered as our future Jewish leaders. Students learn how to work as a team, to discuss and interpret Hebrew prayers and to work towards building their own Jewish identity. Hebrew Wizards helps other people in the world through community service and our foundation, Wizards around the World, which helps Jewish families worldwide. Our Teen Leadership/ Training program is a wonderful way for students to be included and remain involved in Jewish education as they teach younger students after they have become a Bar/Bat Mitzvah. 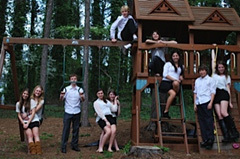 The Teens teach in the Wizards program and model friendship and leadership. Their impact is tremendous. 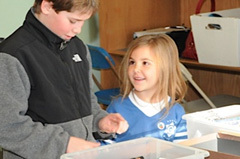 The goal of the Hebrew Wizards national program is to provide a full Jewish education for children ages 4-18. 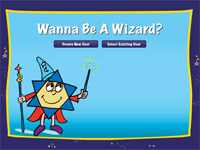 By creating big Colorful Wizards Boards, children are engaged, interested and ready to learn. This "hands on" and tactile approach is a great method for teaching all types of students and delivers outstanding results. Implementing our program can be an easy process. Any Congregational school in America will have the opportunity to come and see the Hebrew Wizards program of Greenwich in action. After choosing to participate in the training sessions, schools will be able to create their own Hebrew Wizards learning program. We will assist and teach the educators helpful strategies and show them how to build their own Curriculum of Wizards Boards. We will map out games and strategies to empower the educators so that they can teach effectively and efficiently. The results will be happy, enthusiastic and proud students who love being Jewish. 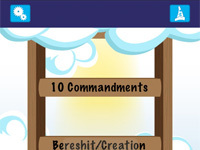 This program is the answer to "how to make Hebrew school fun". Communities are starving and in desperate need for a fresh new approach to "Hebrew School". The secrets of Jewish knowledge and the learning the Hebrew language can be unleashed only if it is taught and delivered in a strategic way. Religious schools are begging for students to come to Shabbat Services but how can we expect a student to enjoy the synagogue experience or to become dedicated to their B Mitzvah preparations, if we do not show them, and model for them the consistency and spirituality of prayer. Hebrew Wizards dedicates 30 minutes out of every class to teaching students to pray. Each prayer is consistently recited and learned and the meanings are understood and explained. Our students learn how to be grateful to G-d, love their families deeply and appreciate their life immensely. They learn that giving back to others is not optional but a requirement and gives us the deepest sense of satisfaction and true happiness. There is no other program in the world like Hebrew Wizards. Students learn from each other, they work together within their communities and they pray together as a congregation. 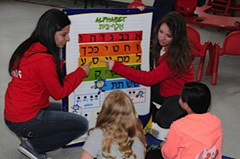 They learn to read Hebrew, act out the Bible plays, learn about Israel, and celebrate the Jewish holidays with joy. The magic of Jewish learning will continue with Hebrew Wizards.